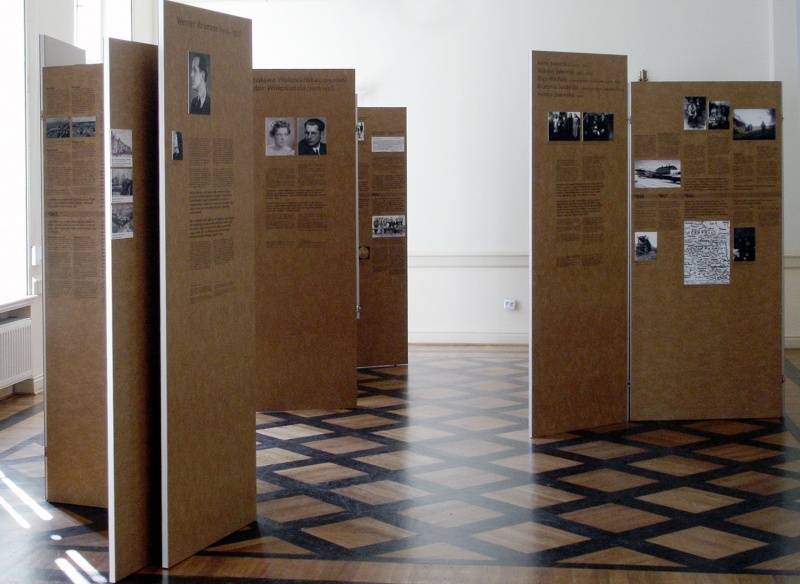 The exhibition is devoted to the Righteous among the Nations from Wrocław and to other local heroes who had been selflessly rescuing Jews during the Shoah. Wrocław is a special place. Its historical heritage is unique as the city has changed its nationality and population from German to Polish. However, no recollection has been preserved about the local wartime Righteous and Rescuers. The Righteous who live in Wrocław today have come from all corners of pre-war Poland and are not known in Wrocław very well. The exhibition Wrocław Residents Whom We Want to Remember aims at restoring the memory of those people irrespective of where they have come from. It presents the stories of the Jaworski family and Jarosława and Izydor Wołosiański. The other two stories are of Werner Krumme and Elfriede Wagenknecht, the wartime residents of Wrocław (a German city Breslau at that time). The exhibition consists of 4 different self standing constructions, temporary and mobile. Each panel presents a different hero and tells his story.